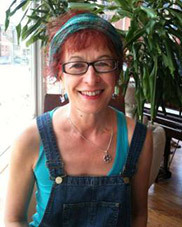 Ali has been leading choirs and vocal workshops since the early 80s. She has worked as a class music teacher and for a few years ran a music department in a local school. She is regularly requested to run voice workshops for teachers and pupils in a variety of schools all over the country, plus utilising her skills in the corporate workplace to provide “de-stressing” and fun singing workshops in which colleagues can re-energise, socialise and find their voices through singing and laughter. Ali set up and ran the Bournemouth Community Gospel Choir for over 10 years and in that time organised concerts and tours which took them to both Prague and Tuscany where they received rapturous applause for energetic and inspiring performances. The BCGC was also shortlisted to appear in the Last Choir Standing TV programme. Ali is now running a small a-capella group Bourne Harmony which is regularly asked to perform in local venues around Dorset. Her skills also include arranging and composing specially commissioned vocal music which have been showcased at various local events. David enlisted as a junior musician with his county regiment, The Somerset and Cornwall Light Infantry in 1960 and retired after serving as Director of Music, Coldstream Guards in 1999 with the rank of Major. He is an active member of the Wind Band Association and participates regularly in workshops for this medium. He has a partnership in a music publishing business and writes and arranges in the main for the wind and brass band medium. He has also been a regular contributor to The Brass Herald writing on the history of Military Music. Finally, he is an enthusiastic member and deputy choir director of the Rising Voices Choir. Dr Alastair Smith is a retired NHS Consultant, he was a Consultant Haematologist and Honorary Senior Lecturer in Southampton University Hospitals and Lymington New Forest Hospital from 1982-2011. He was also a Clinical Lead as part of the national Cancer Survivorship Initiative from 2008-2011. He has extensive experience in the diagnosis and management of Leukaemia and other bone marrow cancers - and he led development & publishing of (inter) national guidelines on myeloma diagnosis and management in 2001 & 2006. 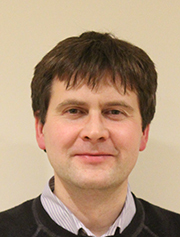 He has been actively involved in patient education and has advised on patient information publications prepared by Cancerbackup/Macmillan & Myeloma UK – and has spoken at numerous patient and family information days run by Myeloma UK. 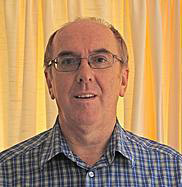 He developed partnership working with Pallaitive Care Services in Lymington/New Forest through dealing with a more elderly patient group often in the terminal phases of their condition and other health problems and undetook fruther personal study in Palliaticve Care through Cardiff University in 2008-9. He has also experience of Health Service management challenges through a spell as Pathology Services Clinical Director in Southampton. Outside of medicine Music has been a major interest and he has been a member of the Bournemouth Symphony Chorus since 1998. Until recently Noëline Young worked with Macmillan Cancer Support as part of the National Cancer Survivorship Initiative. 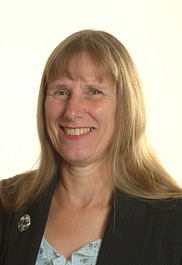 She is an experienced nurse who has also worked locally in Poole and Bournemouth. 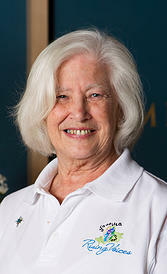 Noëline is a trustee of the choirs and also for a national support group for ovarian cancer, Ovacome. As well as a background as a Cancer Nurse Specialist Noëline has personal experience of cancer both as a patient and carer. This has given her a valuable insight into the experience of cancer, the impact it has on those around you and the problems faced following a diagnosis of cancer and during recovery. Noeline has always loved singing and as a teenager was in a youth and church choir, however as a busy working Mum, time and commitments did not give her the opportunity to join a choir. When approached to be a Trustee of Rising Voices she was delighted to except a new challenge as retirement was looming, so time for a new project; beats singing in the shower! Jean Querol is a retired therapy radiographer and practice manager. On retirement she became a member of the partnership panel of the Dorset Cancer Network (DCN) which she represented on the Radiotherapy Steering Group and the Specialist Palliative Care Group. She is also a volunteer receptionist at Forest Holme Hospice. Through the then Dorset Cancder Network she heard of the formation of the choir and joined the newly formed organising committee which then became the Steering Group. She gets a great deal of satisfaction and pleasure from seeing the way the choirs have progressed and seeing the joy that it brings into people’s lives. Robert Taylor is a Chartered Accountant (ICAEW) and has previously been a Trustee of a charity (2011-2016) for which he had the responsibility for financial reporting, budget review, audit, fund-raising and employment matters. Rob has extensive experience of bid preparation, financial forecasting, financial modelling and reporting and experience of external audit, internal audit and due diligence work. Very good knowledge of the public sector and public sector accounting and good report writing and presentation skills to general and expert audiences and to senior executives of companies and organisations. Dr Susi Caesar is a GP in Dorset and a passionate proponent of appraisal for doctors as a way of encouraging quality improvements in patient care. This led her to her other roles in medical education with Health Education England (Wessex) and to becoming the Medical Director for Revalidation at the Royal College of GPs. Like most GPs, she has looked after many patients from their first diagnosis with cancer throughout their journey with it, as well as families and carers, and believes that each patient is the expert on their own situation. She joined the choir in its second week, as an enthusiastic but not very competent singer, and feels she has come on leaps and bounds musically. She feels very honoured to have been asked to become a Trustee for an organisation that gives so much to so many people, who have become her friends. Currently working as a Health & Safety Compliance Administrator, Sarah has had many years’ experience as a tutor for Adult Learning, has worked in the education sector carrying out 1:1 care of children with life-limiting illnesses and as an HCA, caring for those with cancer. Having current experience of family members with different forms of cancer, Sarah is a strong supporter of the choir, believing in the restorative, health and wellbeing effects that singing in a group can promote for all concerned. Sarah has been a member of the choir since early 2015 and as a member of the Steering Committee, she has helped organise fund raising events for the choir and likes to think of different ways to promote the choir and spread the word! As a lover of singing from a child in school choirs and onwards, Sarah was recommended to join the choir by a friend whose mother is a member. From then on, the weekly rehearsals, subsequent concerts and social events have played a very important part in an already busy life. Sarah would love to be able to assist the Trustees in their duties, offering her skills and enthusiasm in order to help the choir grow and prosper; ensuring the benefits current members enjoy can continue to be shared ongoing by many more. Roger has been a member of the Bournemouth Symphony Orchestra (BSO), as a Cellist, for nearly 40 years. He is married to Judith, also a member of the BSO and lives in Bournemouth with their 3 grown up (nearly) children. 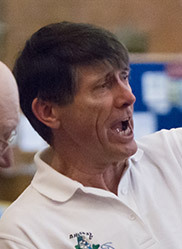 Roger has been a member the BSO Board of Directors for the past 17 years and has also held other roles such as Chair of the Players Committee and Assistant Orchestra Manager at different times. Having been diagnosed with Myeloma a few years ago and being disabled from the consequences of a series of unfortunate side effects, Roger has managed to return to work part time and play an active part in the work of the BSO as a cellist, remains as a Trustee and most recently plays a leading role in the Orchestra’s Changemakers Project (a unique project funded by Arts Council England) both as a Player Mentor and a member our new Resound Ensemble, composed of disabled players. Roger would be delighted to bring his knowledge and experience to try to help the Trustees of Rising Voices Wessex. He would aim to attend Trustees meetings whenever possible as well as coming to concerts etc when BSO schedules and other commitments permit.